Gutters are a part of a home that are seldom given much thought until such time as they fall off your roof or start leaking. By the time this happens though, chances are that damage has already occurred to fascia boards and ceilings. It is recommended that you have your home’s guttering inspected by professionals regularly to ensure that it is serving its intended purpose as effectively as possible. You can read more in our guttering styles guide for even more information and guidance. You can read our guide on the pros and cons of popular guttering types to find out more information. When gutter replacement is required, many homeowners simply opt for the same design that was originally on their properties. However, in many cases, the existing guttering may not actually have been suitable for their home’s roof for various reasons. 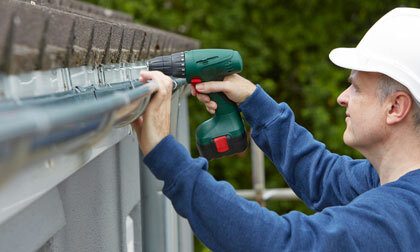 As a result, it is always recommended that you obtain professional advice before replacing your home’s guttering. This will not only ensure that you have the right type of gutters installed; you will be able to rest assured that they have been installed according to current industry standards as well. We have several highly experienced and knowledgeable guttering experts on hand who will be able to answer any questions you may have regarding performing gutter replacement on your home. Should you Perform DIY Gutter Installation? Although many property owners claim to have performed successful DIY gutter installation or repair work, the truth is that most homeowners simply do not possess the knowledge needed to install their gutters correctly. In most cases, they are also not aware of the various safety practices that must be implemented to prevent serious injury occurring. When guttering is installed, it is also important to keep in mind that most manufacturers will not uphold any form of warranty if the work has been carried out in a DIY capacity – regardless of whether everything has been done correctly or not. Experienced gutter installers will not only ensure that the work is carried out to perfection; they are always on hand to provide you with advice regarding how your home’s gutters work and how best to maintain them over the long term. This will enable your newly installed or replacement gutters to last as long as possible and serve their intended purpose for many years. Homeowners often become frustrated when tradespeople let them know that they will not be able to provide an accurate quote for gutter installation or repair over the phone. However, it is essential for a guttering specialist to visit your home so they can see exactly what type of installation or repair work needs to be done. When a guttering specialist visits your home, they will also be able to determine whether the job is going to be more challenging than average or not. All of these factors will play a role in providing you with the most accurate quotes and pricing possible. In many cases, roofing contractors will increase the cost of their quotes substantially if they are not able to visit the property ahead of time. As a result, it is always a good idea to allow them access to your property for the purpose of compiling your quote. As with any form of home maintenance or repair work, the cost of installing new or replacement guttering will vary from one property to another. This is as a result of factors such as the amount of work that needs to be done, the type of guttering being installed, any gutter accessories that may be needed whether the property is more than one storey high and whether the roof of your home is easy to access or not. Cheap Quotes - Are They The Best Option? When the time comes for gutter installation or replacement, many homeowners do so by trying to shop around for the cheapest prices. However, this is not a recommended practice, as you may not always get the best quality workmanship and products when doing this. Instead, it is recommended that you speak with accredited contractors such as those that have been pre-screened by us. Although this may not ensure the lowest prices, it will always enable you to obtain the best level of service possible. A reputable contractor will also not charge for items that are not necessary to complete the job or for stock that is not used. When comparing quotes from different gutter installation companies, it is important to read it carefully. Although one quote may be substantially cheaper than another, it may be because some service providers are not including some aspects such as the cost of site clean up after the job has been done. Although it may look easy to install gutters, the truth is that these devices must be installed at the correct angle to ensure that they will be able to drain water away from your roof and property as effectively as possible. An experienced installer will first perform a full inspection on your home to determine whether it will need average sized or oversized guttering. Once this has been done, they will provide recommendations regarding the type of guttering that will be most suitable for your home. How will I know if my home’s gutters need to be replaced? If you have noticed that large sections of guttering have fallen down, cracked, broken off or are missing completely, it’s time to contact the guttering experts regarding having them replaced. When filling in our contact form, you will be able to speak with up to four contractors, all of who will be able to provide you with excellent advice. Will I benefit by installing seamless gutters on my home? In most cases, yes. 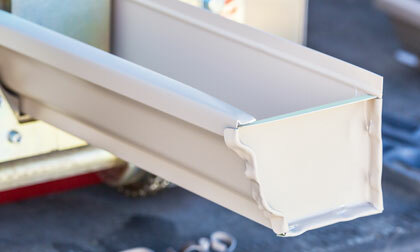 Owing to the fact that seamless gutters only have joins on corner sections instead of along the longer runs as well, there is far less chance of any leaks occurring. Having fewer joins along lengths of guttering will also result in less maintenance being required on them as time goes on. This is only recommended if you are a qualified installer. Most manufacturers and suppliers will not honour any warranties if guttering has not been installed by a suitably qualified tradesperson. In addition, working at heights places you at a high risk of being seriously injured. It is recommended that you fill in our contact form and speak with our experienced and reputable installers instead. Will I need to perform any type of maintenance on my new gutters? At minimum, it is recommended that you have your gutters cleaned out once a year. However, if your home is surrounded by a lot of trees, this may need to be done more regularly. It is also a good idea to walk around your property every few weeks to check that the guttering is still securely mounted. What must I do if it looks like my gutters are leaking? The first thing you will need to do is contact a reliable guttering specialist so that they can perform a full inspection on them. They will check and determine whether the guttering has been correctly installed, whether it has been damaged by severe weather or if it is simply a case of wear and tear where some basic maintenance will be required. If your home’s gutters are overflowing, chances are that a lot of debris has accumulated in them and/or the downspouts that will need to be cleaned out. 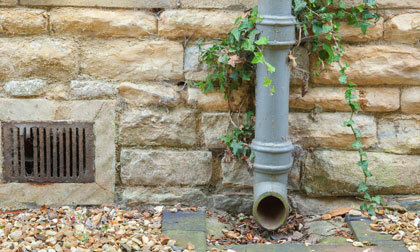 Once the gutters have been cleaned, they can be properly assessed to determine if they are still leaking or not. 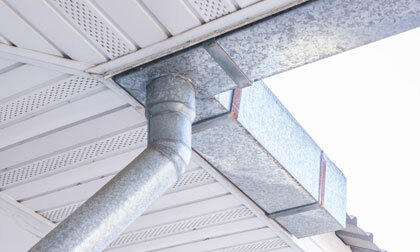 Our experts will be able to determine what will need to be done to ensure your gutters do not leak again. Is it recommended that I replace my PVC guttering with cast iron or copper? In many cases, newer PCV guttering can last for between 20 and 30 years, provided that it is correctly installed and maintained. If your PVC gutters are leaking in more than just one or two places, it is usually an indication that replacement may be required. It is important to keep in mind though, that although cast iron and copper guttering will last for 100 years or more, these will require specialised forms of installation and maintenance in the form of welding and other types of metal work. How long will my newly installed gutters last? 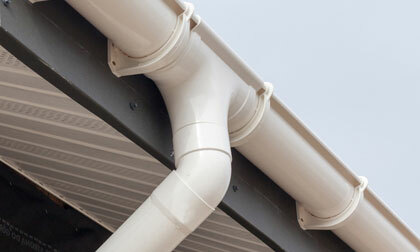 PVC guttering can last anywhere up to 30 years, provided that it is well taken care of and cleaned out regularly. 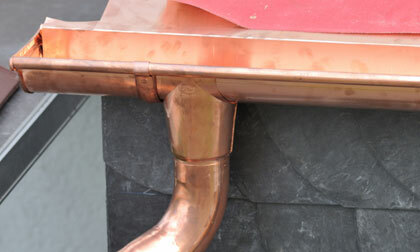 However, cast iron and copper guttering have the ability to last for more than 100 years. How much will it cost to install gutters on my home? This will depend on the size of your home, whether it is a double storey unit or not, whether or not there are any parts of your roof that are going to be difficult to access and the type of guttering you would like to have installed. It will be necessary for a gutter installer to physically inspect your home before an accurate price can be provided for this service. How long will it take to replace existing guttering on my home? 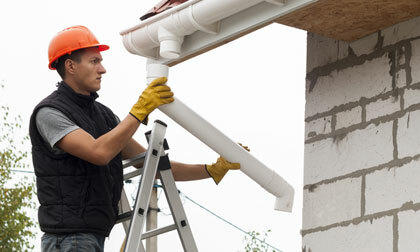 Each guttering job will take a different amount of time to complete for various reasons. 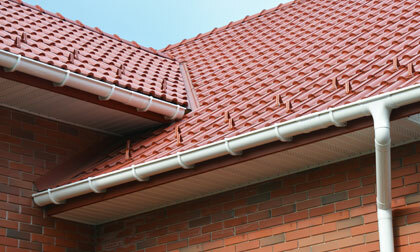 For example, it will be quicker to replace guttering on a single storey home than on a double storey property. Larger homes will require more gutters than smaller units, which will result in the job taking longer. However, if you have an average-sized two bedroomed single storey home, the job can sometimes be completed in as little as a day or two at the most. 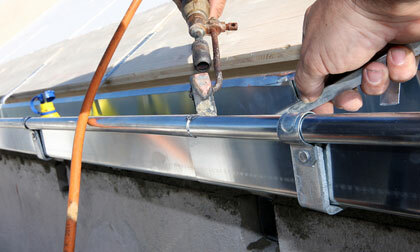 How reliable are your professional gutter installers? All of our installers have been carefully pre-screened to ensure that they are not only reliable; they have been vetted and possess all of the necessary qualifications and experience to get the job done correctly the first time. In addition, they are available to address any potential problems that may arise after your guttering has been installed. How does your quote process work? It’s fast and simple. All you need to do is provide us with some basic contact information and we will have up to four guttering specialists make contact with you within a day or so at the latest. Once they are able to contact you, they will be able to set up appointments so that they can view your home and get started with compiling your quotes. Once you have received your quotes and decided which of them you will be accepting, the company in question will set up an appointment to perform gutter installation or replacement on your property.